The E27 Pendant Light is a naked bulb pendant light that distills the lighting fixture down to just a socket, bulb, and cord. Designed by Swedish designer Mattias Ståhlbom in 2008, the simplicity of the E27 Pendant Light fixture allows for a large variety of creative uses from hanging the pendants individually, in rows, in bunches, or in clustered arrangements. The E27 Pendant Light is made with a silicone socket that doesn’t retain heat and the fixture has an overall width of 5” | 12.7 cm and height of 9.25” | 23.5 cm. The E27 Pendant Light has a cord length of 13’ | 3.96 m.
What is the E27 Pendant Light? The E27 Pendant light is a naked bulb pendant light designed by Mattias Ståhlbom (2008) that distills the fixture to just a socket, bulb, and cord. 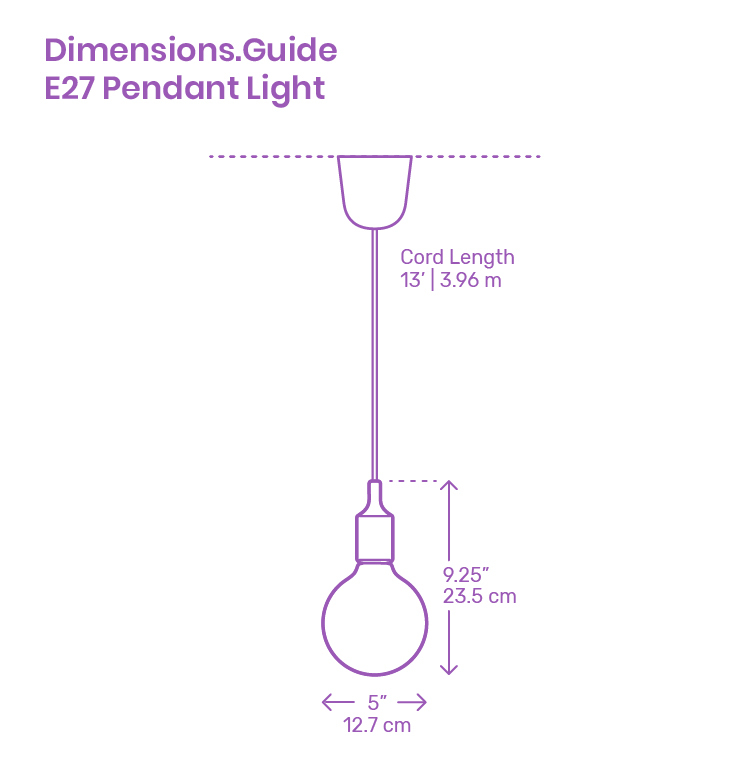 How big is an E27 Pendant Light? The E27 Pendant Light has an overall diameter of 5” | 12.7 cm and a height of 9.25” | 23.5 cm. How high should the E27 Pendant Light be hung? Though exact height varies by situation, lighting needs, and fixture arrangement, the bottom of the E27 Pendant Light should be hung 28”-36” | 71-91 cm above a countertop surface or 30”-36” | 76-91 cm above a dining table.